There are two contrasting versions of how the defences of the fort were breached. 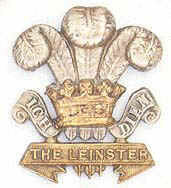 The first is the version gleaned from the Leinster Regimental History. Was it coincidence that during the attack on Fort Niagara the advance party arrived at the gate at exactly the time of the changing of the guard, or was it part of the plan with information gleaned by Lieutenant-General Drummond and Colonel Murray from non-combatants released by the Americans the day before. Why would a commander of a fort leave the drawbridge down and why would a sentry leave the gate open during the changing of the guard? Whatever fortune brought about these events a Sergeant Spearman of the 100th Foot was not slow to capitalise on them and despatching the sentry led the storming party into the fort. The second version has the grenadiers of the 100th challenged by an American picket outside of the fort. Failing to provide a satisfactory response to a challenge the men of the 100th attempted to silence the Americans but the alarm was given and some twenty Americans retreated toward the fort whereby the gate was opened to permit them to enter. The pursuers, included a Lieutenant Servois who had carried cordwood to throw into an open gate to prevent its closure and the force of the attackers fully opened the gate permitting the British Force to enter. In parallel the Royal Scots and the 100th had successfully scaled the walls by ladder and fierce fighting continued during in which many acts of gallantry took place before the Americans capitulated. The victory was sound with loss of a single British Officer of the 100th, Lieutenant Nowlan, five other ranks killed in action and five wounded including two British officers. Against this must be measured the loss of 65 Americans killed in action, and 14 other wounded including two officers. Fourteen American officers and three hundred and fifty men were captured. In the official despatches of Lieutenant-General Drummond is written the following. "The highly gratifying but difficult duty remains of endeavouring to do justice to the bravery, intrepidity and devotion of the 100th Regiment .... Lieutenant-Colonel Hamilton, to whom I feel highly indebted for his cordial assistance ... Captain Martin (100th Regiment) who executed the task in his most intrepid manner merits the greatest praise"